Summer is here. We will all take advantage of the sunny weather to do outdoor projects, take our families to fun places, relax and keep cool. For criminals, however, it is a very busy time of year.It can be easy to forget to close a door or window, but if they are left open it creates an easy opportunity for a burglar. Criminals focus on easy targets; make it difficult for them to choose you. The San Diego Sheriff’s Department wants to remind you of some tips to keep yourself, your family, your home and your valuables safe. •Be wary of anyone who approaches your front door and don’t let them take up too much of your time. Criminals work together; one will come to your door and distract you while the other sneaks into your home. Ask for an ID of a utility person. •Be a good neighbor, lookout for one another. •Excessive dog barking could be a sign of an intruder and may warrant a call to the Sheriff’s Department. •Sheriff’s Crime Prevention Specialists offer a free security check to show vulnerabilities in your home. Call your local Station or Substation. For more information, http://goo.gl/gPXul. •Sign up for alerts at http://www.crimemapping.com/. 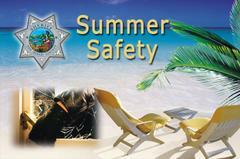 •Sign up for a FREE vacation check so Sheriff’s Senior Volunteer Patrol (SVP) members can keep an eye on your home. Visit www.sdsheriff.net. Look for “Vacation Home Checks” on our homepage. For full details, view this message on the web. The Parent Connection is a non-profit parenting support group sponsored by Scripps Health. Since 1980, The Parent Connection has been bringing San Diego families together to provide support, share experiences and information, enjoy social activities and build lasting relationships. Parent Connection annual special events are a great way to socialize with other members. And our membership benefits include group discounts to California theme parks and attractions, which more than cover the cost of annual membership. Join now! LEGOLAND® CALIFORNIA Celebrates 20th Birthday by Giving Kids the Gift of FREE Admission on their Birthday in 2019! With more than 3,000 members, the Parent Connection is San Diego’s largest parenting support group. Since 1980, the organization has brought San Diego families together to provide support, share experiences and information, enjoy social activities and build lasting relationships. Events for all members of the family, swap meets, holiday fairs, auctions and more! 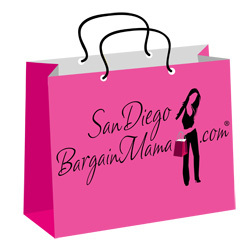 Join Now and Discover San Diego Parent! Read more about membership benefits.